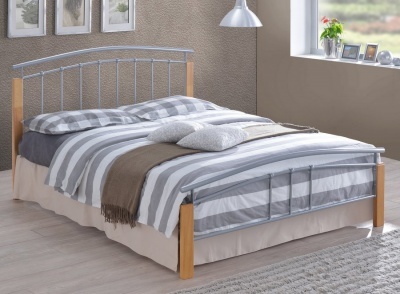 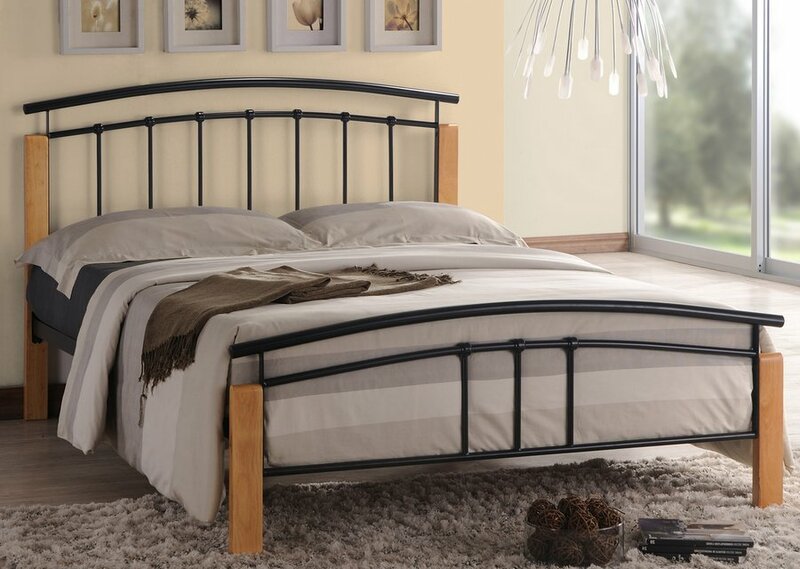 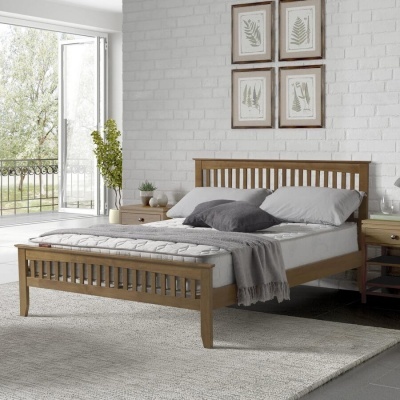 Modern metal bed frame with wooden posts. 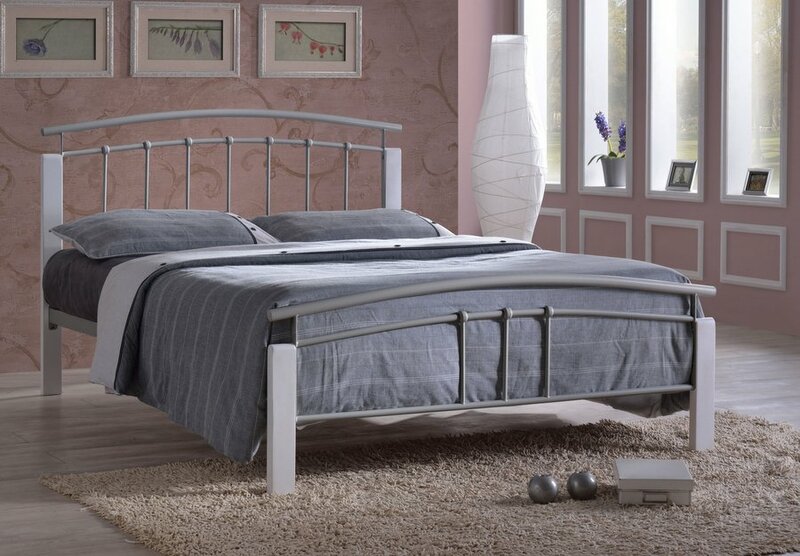 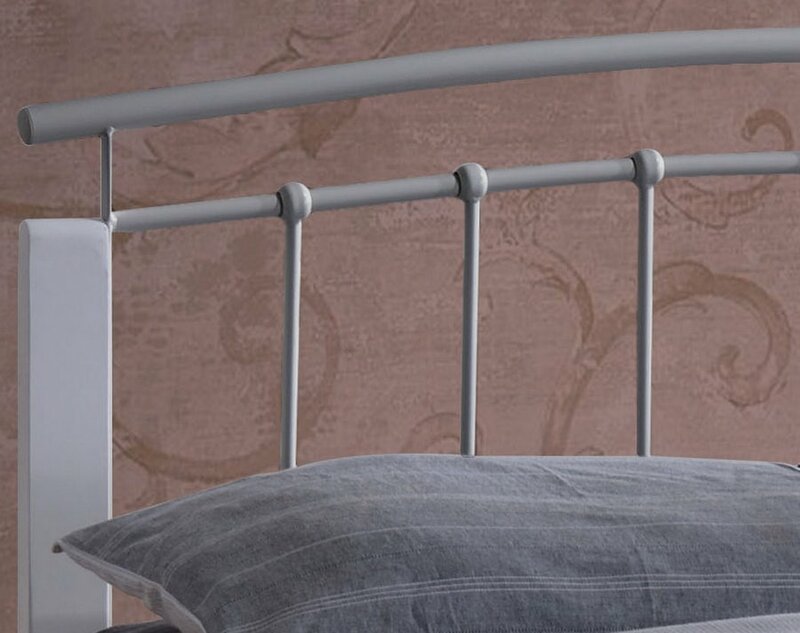 Choose from silver with beech posts, silver with white posts or black with beech posts to suit your bedroom decor. 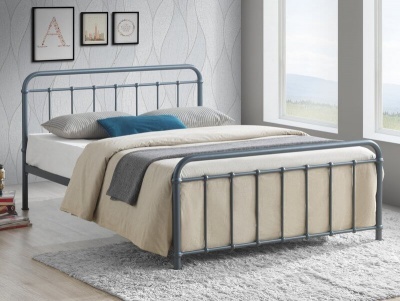 Simple design with a modern feel.